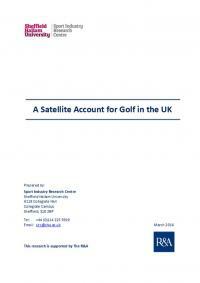 The Sport Industry Research Centre (SIRC) at Sheffield Hallam University produced a 'Satellite Account' for golf in order to derive an authoritative assessment of the sport's economic value to the UK economy for the year 2014. 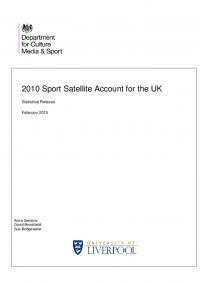 This report gives an overview of the economic impact generated by the sports industry and its contribution to the UK's output from the years 2011 to 2012. 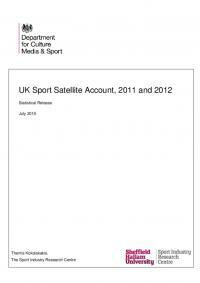 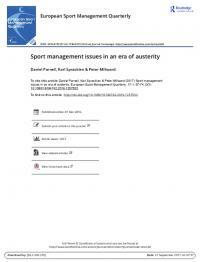 This is the fifth report produced on the value of sport in the UK and the methodology employed is consistent with both the earlier reports conducted by the Sport Industry Research Centre (SIRC) and comparative reports produced in other EU Member States as agreed by the EU Working Group. 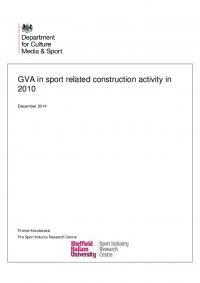 This report presents an estimation of the Gross Value Added generated by the sports sector in the field of construction. 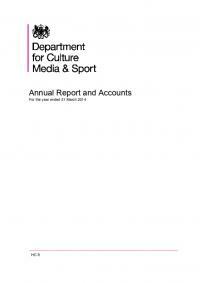 This public report provides a full strategic overview of DCMS for the year ending in April 2014. 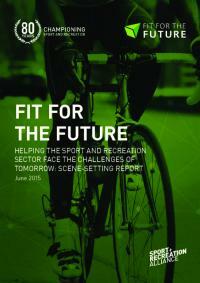 Within the publication, the report highlights the progress the department has made, the first year into achieving a legacy from the London Olympic and Paralympic Games in 2012.